He survived that ghastly war only to die in an automobile accident. Many men did not survive the ghastly war. Britain and her empire lost about 1 million men. Hardly a family, throughout Britain, was untouched by the devastating losses of "The War to End All Wars." While the war raged on in the mud and trenches, a very different war was taking place beneath the soldiers' feet. A group of miners, operating in total secrecy, dug tunnels up to 100ft underground, to plant and detonate mines beneath the enemy's trenches. Their biggest success was at Messines Ridge in Belgium where over 900,000lbs of explosives were simultaneously detonated in 19 underground tunnels. Much of the German front line was destroyed, and the explosions were heard 140 miles away by the British prime minister in Downing Street. In today’s world, it seems like nearly everyone wants to know everything all the time. Journalists work hard to help the public satisfy those "needs." So ... it might be hard to grasp that government officials, during WWI, did not allow journalists to report on events. The constant worry was that reporting, to people at home, would be the same as simultaneously reporting to the enemy. Revealing key information, that would help the enemy, was a crime. And ... not just a small crime. A major crime with deadly consequences. A handful of journalists risked their lives to report on the realities of war. As the Government sought to control the flow of information from the frontline at the start of the war, journalists were banned. Reporting on the conflict was, in the opinion of the War Office, helping the enemy. If caught, they [the journalists] faced the death penalty. When a generation of men went to fight the war, more than a million women took their place in the workforce. They worked long hours, often in poor conditions and with dangerous chemicals. The so-called “canaries” were women who worked with TNT, which gave them toxic jaundice and turned their skin yellow. 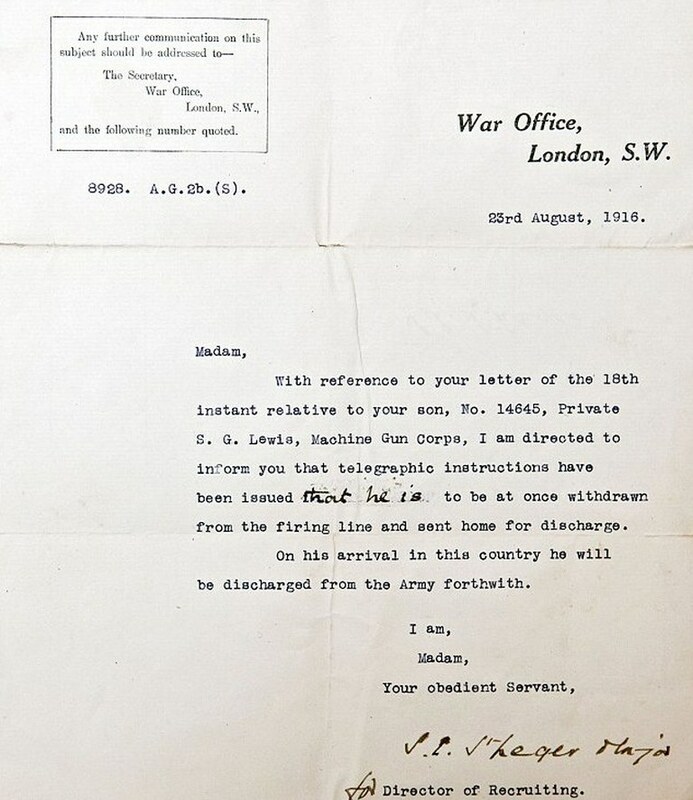 Sidney Lewis was just 12 years old when he lied about his age and joined the army during World War One. He was one of thousands of eager underage boys who enlisted and ended up fighting alongside their adult counterparts on the front. Some were motivated by patriotism, but for others it was an escape from their dreary lives. In fact, around 250,000 underage British boys fought in WWI. The British Army began the routine use of blood transfusion in treating wounded soldiers. Blood was transferred directly from one person to another. A US Army doctor, Captain Oswald Robertson, established the first blood bank on the Western Front in 1917, using sodium citrate to prevent the blood from coagulating and becoming unusable. Blood was kept on ice for up to 28 days and then transported to casualty clearing stations for use in life-saving surgery where it was needed most. This image depicts a few of the American soldiers who were injured in France while they fought during WWI. Image online, courtesy U.S. National Archives. Quoted passages from "12 Amazing WW1 facts that you probably don't know," published by the BBC on 3 June 2014. Bos, Carole "Surprising Facts about WWI" AwesomeStories.com. Oct 07, 2013. Apr 23, 2019.